With my flights booked to Papeete (PPT), the capital of French Polynesia on the island of Tahiti, I still wasn’t on my final destination, Bora Bora (BOB). Domestic Airline Air Tahiti (not to confuse with international airline Air Tahiti Nui) serves a network as wide as Europe. 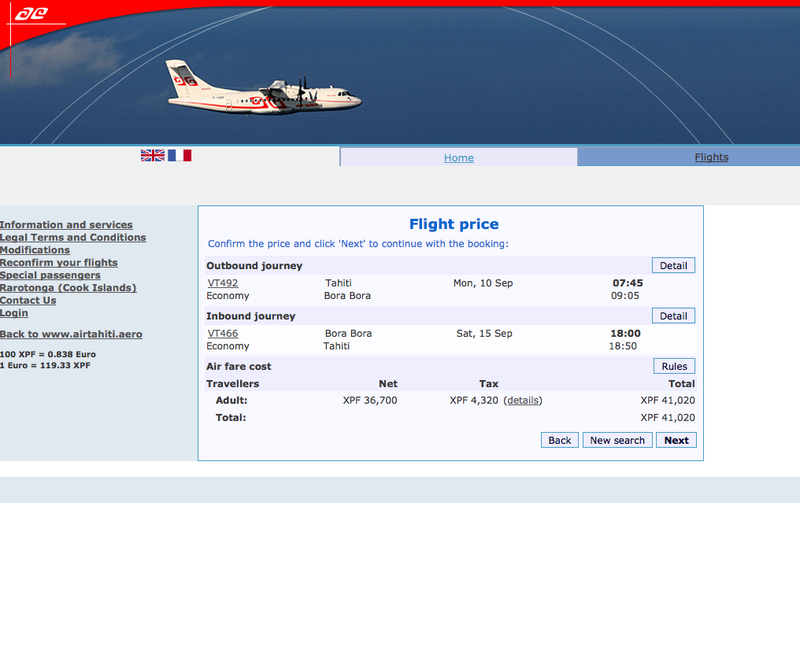 PPT-BOB return flights don’t come cheap at around XPF41,000 (€345), but thanks to a Belgian family living in Papeete, I managed to get hold of a ticket for local residents priced at XPF25,480 (€213) Checked luggage was limited to 10KG compared to 20KG for the more expensive ticket. 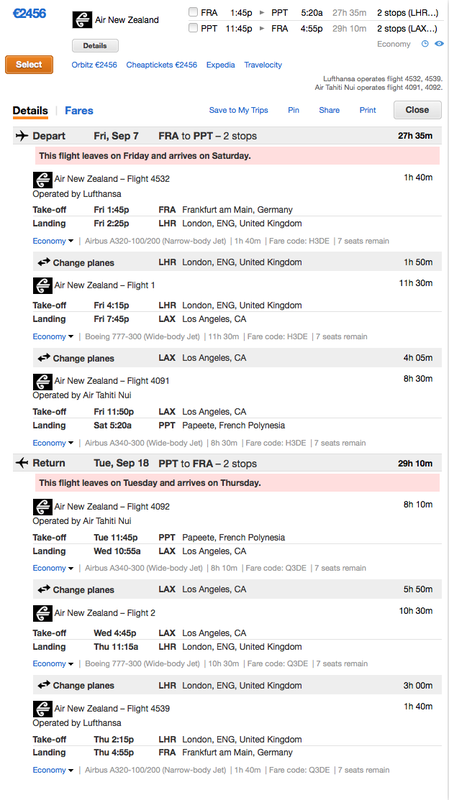 Surprisingly, overweight luggage is really cheap with Air Tahiti. Passengers holding a diving license get 5KG extra for free, and for every additional KG, you only pay XPF210 (€1,75 or $2,3) ! 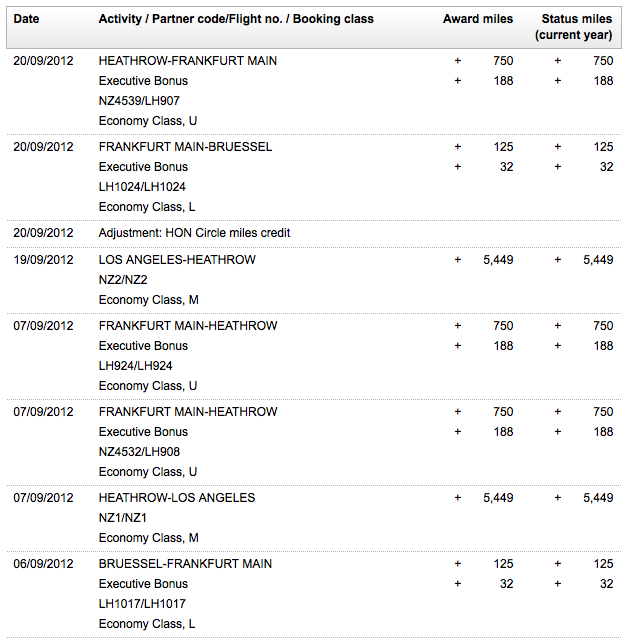 In my case, I paid XPF3570 (€30) extra for overweight.